Kayla Wolf for Shaw Media- Hazel Greenlee tosses a ring around a reused plastic bottle in a game about bird conservation Saturday April 22, 2017, at the Earth Day celebration held at Prairieview Education Center. The District and the Environmental Defenders of McHenry County co-hosted the event. 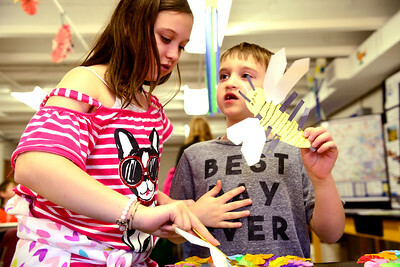 Kayla Wolf for Shaw Media- In an activity to promote education on honeybees Gabriela Mileto (left) and Rocco Mileto place paper honeybees with sticky legs on piles of glitter, which represent pollen, Saturday April 22, 2017, at Prairieview Education Center. 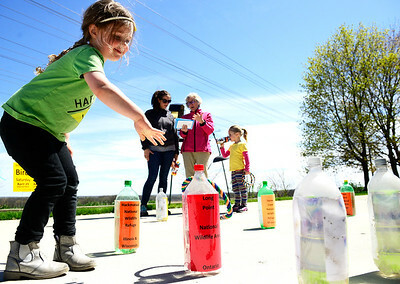 The honeybee activity was sponsored by McHenry County Schools Environmental Program a group that works with 53 schools in McHenry County to increase environmental education pre-kindergaden through high school. 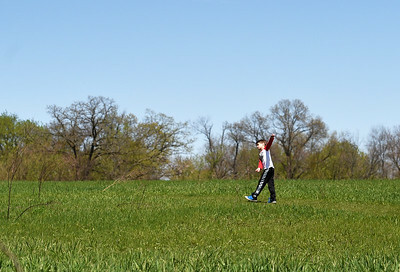 Kayla Wolf for Shaw Media- Will Calhoun runs around grass paths at Prairieview Education Center on Saturday, April 22, 2017 during an Earth Day celebration. The event offered live musical performances, guided nature hikes, games and crafts, puppet shows, environmental exhibits and food vendors. 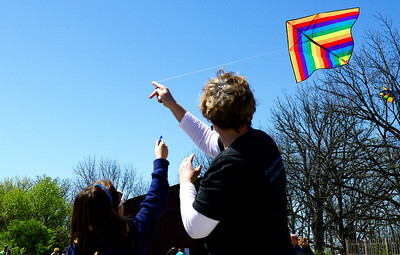 Kayla Wolf for Shaw Media- Marvin's Toy Store owner Lori McConville (right) helps Ainhoa Benito get a kite into the air during an Earth Day celebration Saturday, April 22, 2017, at Prairieview Education Center in Crystal Lake. Marvin's Toy Store in Crystal Lake researches the environmental, social and shipping practices that toy producers use, to ensure that the toys they offer to their customers can feel good about their purchases.